Ben Roethlisberger has been severely criticized in recent weeks for his leadership abilities in the Pittsburgh Steelers locker room. This criticism, bordering on character assassination, comes on the heels of Antonio Brown being traded to the Oakland Raiders and Le’Veon Bell signing with the New York Jets. For some reason that I cannot fathom, the media and others put the blame squarely on Ben’s shoulders for their departures. Initially, before the trades took place, there were conflicting reports of an alleged incident between Ben and “AB”, as he is known. Brown has never publicly stated details regarding the alleged incident and Ben said it didn’t happen. Other players publicly stated they were unaware of any such conflict. After the media dived into the drama, a comment made by Roethlisberger on his radio show (in December) about a missed route by Brown and an admission that he wished he'd thrown to JuJu Smith-Schuster in the final drive of a 24-17 loss to the Denver Broncos instead, became front-page news. "Being around for a long time, being with a lot of different players, you have to know how to motivate guys in different ways," Roethlisberger said on the show. “That’s part of being a leader and a captain—just understanding players. Sometimes you just grab them off to the side; sometimes you have to be honest with them. And so, I think I’ve earned the right to be able to do that, as long as I’ve been here. And I’ll be just as critical on myself in front of you guys as well.” Apparently, Brown took that as a direct slight towards him alone. Not to delve too far into the "AB Affair" but suffice it to say that Brown's bad behavior started long before last season and was allowed to continue. It’s difficult to understand why Roethlisberger would be responsible for Brown acting out or that his locker room leadership would have any effect on a player who was continually allowed to violate team policy without repercussions. The coach is responsible for discipline, not the quarterback. As for Bell, it was his decision to turn down two long-term offers from the team and then to sit out an entire season when negotiations did not go his way. Neither Bell nor his agent ever mentioned Ben as a cause for Bell’s dissatisfaction. Still, the media beat the drum that "Big Ben" was responsible, that he was not a good leader. The most recent media firestorm surrounding Roethlisberger comes on the heels of former undrafted running back, Josh Harris (who spent one season in the NFL on the Steelers roster), accusing "Big Ben" of intentionally fumbling the ball in a game in defiance of then-offensive coordinator Todd Haley. In response, former Steelers backup quarterback Bruce Gradkowski, who played behind "Big Ben" that season, shared the same video of the alleged play with an explanation via Jeremy Fowler of ESPN, reiterating the fact that Roethlisberger did not fumble the ball on purpose - just one day following Harris' rant. In watching the video, I believe it is inconclusive as to whether the fumble was intentional; but in my opinion, it’s unthinkable that Roethlisberger, a fierce competitor, would intentionally fumble. It’s worth noting that many fans had no idea who Josh Harris was until his accusation went viral after he was quoted in a Sports Illustrated article as saying, “Ben is a great player but he doesn’t try to connect with teammates... During my time there, I had conversations with vets like Heath Miller, William Gay, Cam Heyward, Darrius Heyward-Bey, Will Allen, Ike Taylor, Troy Polamalu, Bruce Gradkowski, even James Harrison, but never Ben. Troy made an effort to talk guys. Not Ben though. And it was like that for others too." 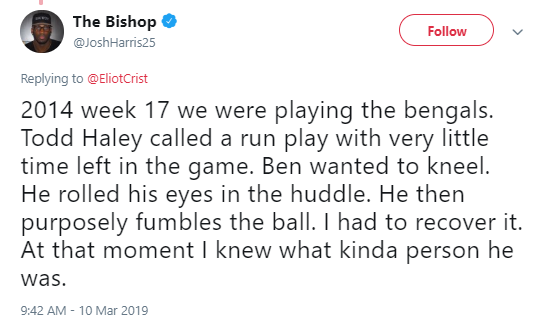 In fact, it seems Harris now has more fame for his criticism of Roethlisberger than he did as a running back in the NFL for one season. Former Steelers running back Isaac Redman also was interviewed for the same Sports Illustrated article. When the article came out with the slant that Redman painted Big Ben as a poor leader, Redman was outraged. I was called for an interview and was asked why do I think some players are saying negative things about Ben. My response was I’ve never had an issue with him some guys are closer than others. I think Ben is just careful with who he surrounds himself with. I can’t believe an article would come out saying i had anything negative to say about Ben Bc i do not. He was always a great teammate and leader my time in Pittsburgh!! Ben is now the elder statesman on the team and the only player left from 2 Super Bowl wins. 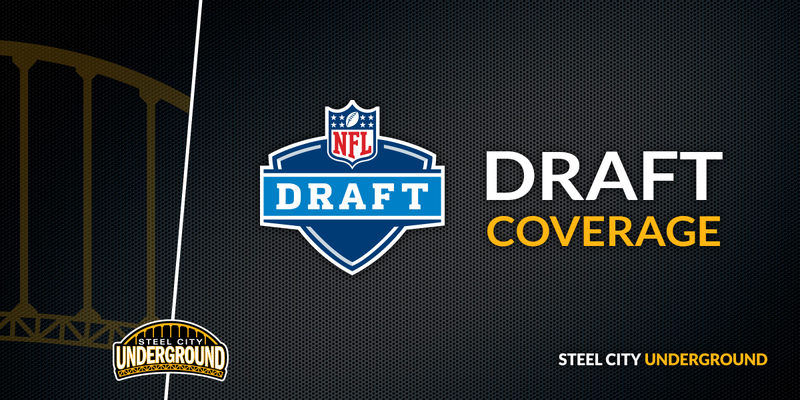 The Steelers appeared in Super Bowl XLV while Roethlisberger has been with the team, but lost. They won Super Bowls XL and XLIII with Ben at the helm. It’s been more than ten years since the team last won a Super Bowl. Is Ben’s leadership the reason? In recent years the Steelers notoriously have lost to teams with losing records. Is it Ben’s job to prepare the team for games each week? Is it Ben’s job to game plan? How could Ben’s leadership change the outcome of those games? Is it even possible? Ben admitted several years ago that he was a bad teammate in his youth, stating, "I'd be the first to admit I wasn't a good teammate early in my career." He wasn’t humble. He was the young guy on a team with a number of veterans who thought himself their equal. By his own admission, he wasn’t a good teammate, and after youthful transgressions and mistakes, he soon realized that he had to change. Since then Ben has taken action to become a better teammate by seeking out advice from his parents, his agent and even Charlie Batch. He took a long look in the mirror and changed the person he saw. That is no small feat and something that not many people can accomplish. He made himself a better person, a better teammate, and a better leader. It’s well known from video evidence that Ben praises his teammates and brings them together on the field. At 35 years old, Ben’s personal life speaks to his character. He is married with three children and well-known as a family man. He’s changed considerably from the proud, arrogant person in his early 20s to a man who commands the respect of his teammates, coaches and more importantly, his family. Perhaps his radio show has been his downfall for criticizing a couple of teammates, including AB and James Washington. Both publicly stated that Ben is their leader and they took his criticism as it was meant, to help them improve and not just “calling them out.” So, why can't the sports media take them at their word at the time without trying to draw more out? To continue this character assassination is to say that people should forever pay for their mistakes. If everyone’s mistakes and misdeeds were publicized, none of us would get very far in life. 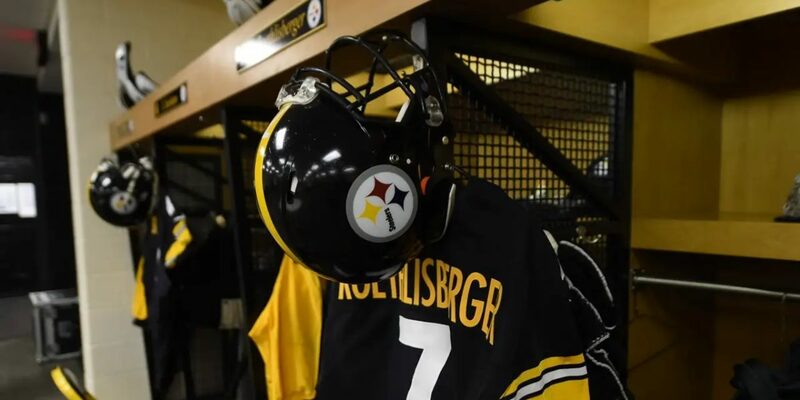 It’s time to leave the past in the past, move forward and cheer Roethlisberger and his teammates on to their next Super Bowl. It will be a sad day in Pittsburgh when Big Ben retires. We waited 25 years between Terry Bradshaw and Ben Roethlisberger. Some of us might not live long enough to see the next future Hall of Fame quarterback in Pittsburgh. Maybe it's time to stop expecting Roethlisberger to shoulder the blame for every potential wrong the Steelers may or may not have. Thanks to Steel City Underground for the opportunity. Awesome piece Wendy! I couldn’t possibly agree more! Thank you for writing it. Whenever there’s a conflict, it’s very easy to assume that the one who runs away crying is the victim. I believe the national media assume Ben is the problem because Brown is the one crying. They look for ways to support their unfounded conclusion. The local media, who know the players better, see through the facade. Personally, I can’t think of even one reason Ben would be motivated to mistreat Brown, but not mistreat his linemen or Juju. When Ben got hurt in Oakland, he could’ve pointed out how badly Foster failed to block on the play. When the final drive failed in New Orleans, he could’ve ripped on Juju for fumbling. I get the feeling that Ben is very supportive, but is willing to tell it like it is, even in public, if he believes that saying it in private isn’t getting it done. I believe the smart money is on Ben as a great leader, and Brown, the maniacal narcissist, as one who goes ballistic anytime someone points out that he’s not the GOAT. Great article and a great take on the situation. Happy to have Wendy submit a fan piece. In the SCU back channels, we have our back and forth discussions, but we like to feel the pulse of how fans view situations. Sometimes we get bogged down from dealing with topics day after day and it was great to have someone step forward and offer to present their view.